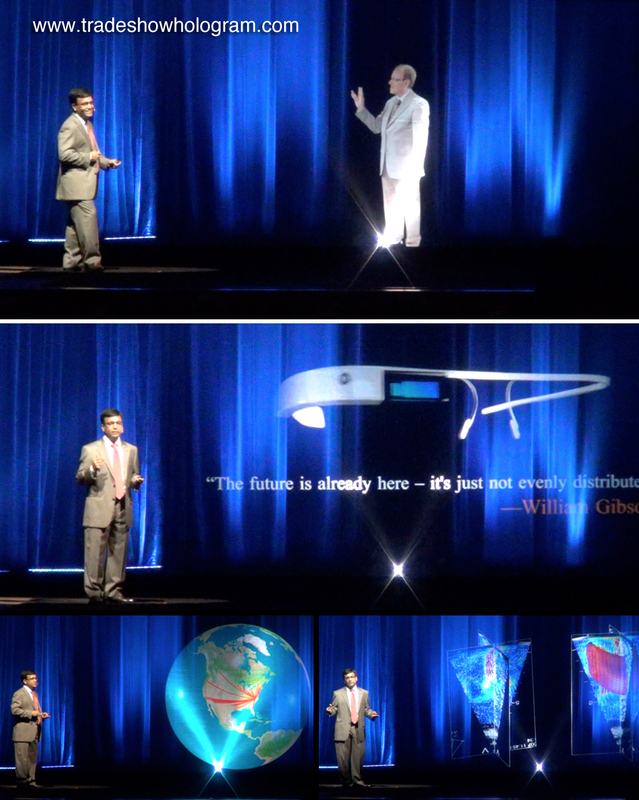 In July of 3013 the audience at the 14th annual Feigenbaum Lecture were treated to a high tech presentation including a state of the art holographic presentation. Dr. Partho Sengupta, MBBS, MD, DM, FASE was named the 14th lecturer. His talk ” Intelligent Platforms for Disease Assessment: Novel Approaches in Functional Echocardiography” featured the ASE’s first ever Holographic Presentation. Included in the lecture were holographic 3D power point presentations, charts and graphs as well as 3D images, videos and even a surprise appearance of Dr. Jim Seward as a holographic avatar via telepresence. The presentation was presented with the assistance of Trade Show Holograms, a company that designs and builds specialty 3D hologram projectors for both the trade show and special event market in both the USA and Canada. They offer HD hologram projectors for both sale and rental. Life sized telepresence holograms appear like magic.